This article is part of a series exploring the history of the grocery chain Tradewell Stores from its predecessors through the resignation of Monte L. Bean. Tradewell was christened in October 1939, based in Seattle, and spread stores down the West Coast before folding in the late 1980s. But it was a direct descendant of at least four other Seattle-based chains and also carried the two-decades-old mantle of self-service chain stores in Seattle. This is the third installment, discussing the store that set the stage for Tradewell in 1915. Skip to the bottom for links to the whole series. Update January 2018: I appeared on Seattle radio NPR 88.5 KNKX for an interview about Groceteria and Alvin Monson. Listen here. Today grocery shopping means picking up groceries from the shelf, putting them in a basket and taking them to a cashier. It’s impossible to imagine another way to shop. However, this concept was introduced just before World War One in four or more separate retail innovations. Prior to that, shoppers gave a list to a grocer who collected the items from below the counter or in a back room, something like a deli or prescription counter today. Many stores, particularly the high-end grocers or those with local competition, offered delivery service of items ordered by phone or on the previous visit, a concept carried on by milkmen and selzter water deliveries in scattered parts of the country. At the onset of World War One food prices began to rise. The previous decade saw stagnant prices and the introduction of various retail services like phone ordering to attract customers in competitive markets. With rising prices, consumers became attracted to discount grocers and business owners sought out ways to lower their overhead. Founded in Tennessee in September 1916, Piggly Wiggly is today recognized for popularizing the concept of self-service groceries and spreading it across the country through a successful franchise model. Ghost sign which remains today in Butte, Montana for the original Lutey’s Marketeria. Photo from Library of Congress HAER MONT,47-BUT,1–82, taken 1979. But Piggly Wiggly had many predecessors with near-identical shopping experience. In Butte there was Lutey’s Marketeria, in the Los Angeles area Gerrard’s Alpha Beta and the Groceteria Stores, and in Seattle another chain named Groceteria. The Lutey brothers may have been the source of discount shopping ideas. In 1912 they began their self-service Marketeria at 146 W. Park Street. A May 1914 article in Spice Mill stated that “the idea has become popular” and that “grocers in other cities have adopted the idea.” The article focused on Lutey innovations including selling in unopened lots at a new store at Mercury Street and Colorado Street. Los Angeles was a hotbed for cafeterias — self-service dining — and there was significant experimentation with low-service grocery business models as well. Albert and Hugh Gerrard are well remembered for their Alpha Beta Stores. In 1910 they began no-credit, no-delivery groceries and in 1915 they introduced self-service with merchandise arranged alphabetically. Regional competition came in the form of Groceteria Stores of Santa Monica, which was straight forward about its attempt to marry the self-service of cafeterias with the purchase of groceries. By May 1915 the initial Santa Monica store was opened. Four months later they had 5 stores, and the chain continued to grow. 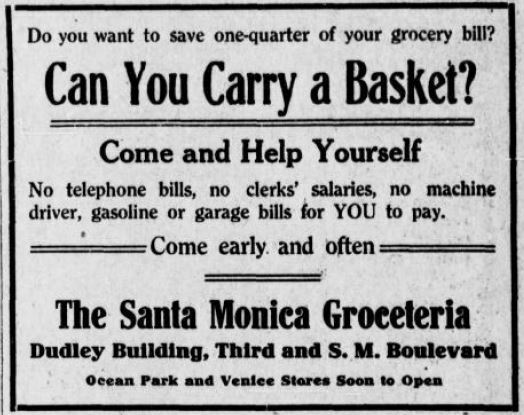 Ad from May 6, 1915 Santa Monica Outlook for Groceteria. 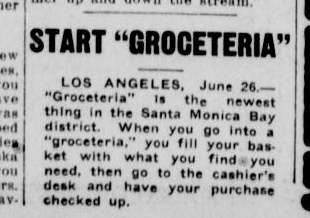 June 26, 1915 Seattle Star article announcing the Los Angeles Groceteria experiment. This short article appeared in papers across the country starting in mid-May 1915. Seattle’s first discount, self-service market opened on November 6, 1915. Groceteria Stores of Seattle was the brainchild of Alvin O. Monson, a brilliant young grocer from the small town of Osceola, Nebraska. Groceteria was opened by Alvin O. Monson and his older brothers Walter A. Monson and G. (Goldie) Martin Monson. They were all raised in Osceola in the heart of Polk County which itself was in the heart of Nebraska. In late 1915 Walter and Alvin traveled along the West Coast looking for a place to test Alvin’s business ideas. Their last stop was Seattle, and Alvin liked what he saw. The Monson brothers picked up retail knowledge working at their father Andrew Otto Monson’s stores. Andrew left Sweden for the United States in 1877 and moved to the town of Osceola, Nebraska in 1879. His brother Jonas moved there as well with his wife Hattie, and they started a general merchandise store, J. H. Monson & Brothers. Osceola was tiny with still less than 200 population, but in 1879 it experienced a relative boom of three dozen homes and two dozen businesses built. This was caused by the completion of the Omaha & Republican Valley Railroad, a spur of the Union Pacific Railroad through Nebraska. 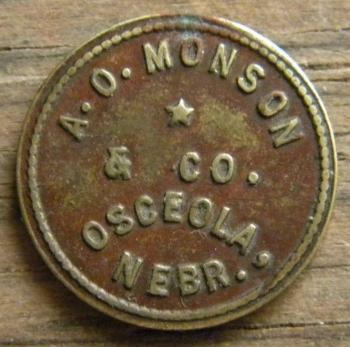 Image of circa 1900 token for Andrew Monson’s store in Osceola, Nebraska. From tokencatalog.com. Andrew became a central figure in local commerce over the next several decades with a penchant for branching out and forming new ventures. He was a founder of Osceola’s second bank, the First National Bank of Osceola. Andrew entered partnerships with merchants in neighboring cities including the Berg-Swanson company of Omaha and Wilson-Monson, a general store in Stromsburg. In 1892 he even built an opera house in Osceola, which he converted to a men’s clothing store in 1898 after determining the opera house would only break even. But Osceola never became more than a village amidst farmland. Polk County peaked at less than 11,000 residents in 1890 and then entered a slow decline, dropping below 5,500 in the 2010 census. Polk County population was hovering around 10,000 as Andrew’s sons Walter, Martin, and Alvin grew up. It is no surprise that they left the area to find their own fortunes. With them they took solid financial backing from their parents. Despite being in ill health Andrew had significant income-generating assets including buildings in Chicago and and an array of Nebraska businesses. When they ventured west in 1915, Walter was 28 with education from the University of Nebraska at Lincoln (UNL). Martin was 26 and Alvin was only 23. As a boy Alvin was exceptionally bright and loved grocery work. He logged enough hours at his father’s store that he purchased a car at age 14 — in 1906 — partially on credit and began doing informal jitney service on the side to make more money, including charging to give his carless dad rides. After one year of high school he went to a series of prep schools including Northwestern University for a year and Chicago’s Lewis Institute (today’s Illinois Institute of Technology) for a year, studying bookkeeping, commerce, drafting, and other subjects. He entered UNL where he excelled in mathematics but struggled in other classwork. After his sophomore year in 1913 he dropped out of UNL and bought out the grocery named the People’s Store that was attached to his father’s store in Osceola. 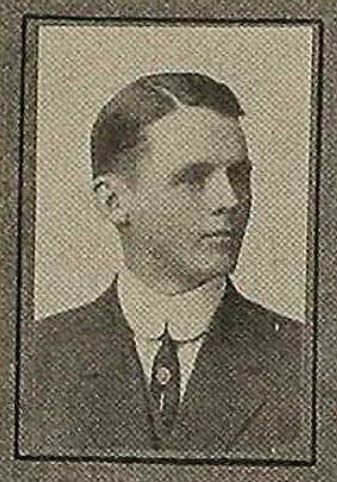 Alvin O. Monson from the 1913 yearbook of the University of Nebraska. Andrew tried out many different types of ventures over the years, but his experimentation was completely dwarfed by his son Alvin. And while Walter was operating a successful men’s clothing department in the family store, Alvin was reinventing the grocery business and hustling at every opportunity. Concerned that sale days meant farmers could miss key days of work, Alvin refused to run specials and simply lowered prices at all times. Alvin realized that most of his potential customers were ordering from Sears Roebuck or Montgomery Ward catalogs to get items delivered directly. To capture their business he started driving around with common items like fresh-roasted coffee and selling it to them off of a truck. He also began selling products at discounts for lots of 10, putting merchandise on display and posting prices directly on the shelves, providing the same experience as a catalog. Other changes that he implemented included changing to a lower cost distributor and reduction of credit sales. Alvin increased revenue by fifty percent in the first year and began clearing a tidy profit. In sworn testimony twenty years later (see note on sources, below), Alvin stated that in early 1915 he worked out a plan to drastically reduce costs, reduce prices, and make profit off of volume sales across a network of stores. Alvin was obsessed with the notion and spent every possible moment on calculations, store drawings, and talking through his ideas with his family. He agreed with very recent, progressive ideas from contemporary grocers indicating that self-service was necessary to eliminate cost. Because of his commercial education in Chicago he also realized that efficient transactions and low error rate were key areas to save money. Finally, he would need to become his own distributor in order to maximize price reductions, purchasing in large lots directly from manufacturers. To quickly sell such large lots he figured that 100 retail stores were needed, all selling exactly the same merchandise. Alvin sold his Osceola grocery to his cousin and prepared to find a city that could support his 100 store plan. On his father’s suggestion Alvin headed back to Chicago with the intention of opening in one of his father’s buildings. He met with family friends and potential partners such as wholesale grocer Reed-Murdock. Alvin was dissatisfied with the opportunity in Chicago so he set his sights on the west cost. He had never been to the coast but a family friend was from Washington and his father and brother Walter had recently visited Seattle for the 1909 Alaska Yukon Pacific Exposition. Alvin and Walter set out to see if there was a city ready for them. Their fist stop was Los Angeles, where the Monson brothers must have encountered the Gerrard brothers’ “alpha beta system” Triangle Market store in Pomona and the Groceteria Stores around Santa Monica Bay. Even if Alvin hadn’t read about them previously, certainly his plans would have been affected by walking into a self-service market for the first time. The retail aspects of his later-implemented business model were in plain sight: the stores were numbered on the exterior; customers entered through a turnstile; carried their own groceries in baskets; snaked through a path of counters and shelves to reach the clerk; and the clerk rang up their bill on an adding machine rather than writing on a paper receipt. Alvin and Walter stopped in San Francisco where they visited the Pan-Pacific Exposition and in Portland as well but continued on for unknown reasons. Arriving in Seattle they would have found only a few grocers with more than one branch, such as Augustine & Kyer. Grocers in Seattle had not yet adjusted to rising prices, continuing to emphasize high service. No one had even implemented the trick of shaving pennies off of prices to reduce the psychological impact of prices. Sensing opportunity, Alvin set up meetings with major wholesalers such as Schwabachers, Fischer Brothers, and National Grocery. (National was formerly Louch-Augustine Co’s wholesale arm. I wrote about Charles Louch and about Louch-Augustine recently.) Each of them rejected the business proposition. At the time wholesalers controlled access to food, particularly national brands, and none of them were interested in selling to a retailer that would undercut prices of other stores with bulk sales. At last Alvin found a partner after meeting with distributor Sylvester Brothers, whose seller was interested in their unique business plan. Opening day was November 6, 1915. Two days prior the Seattle Times ran a brief introduction so that shoppers would know how to behave at this entirely foreign concept of an establishment. The article ended with a note that the Monson brothers believed Seattle’s Groceteria to be the fourth store of its kind in the country. This is consistent with Alvin taking the basic idea from Lutey’s Marketeria and refining the shopping experience concepts from Gerrard’s and the Santa Monica Groceteria. Alvin Monson did have a unique business model, though. While other stores focused only on reducing the cost of getting products from the shelf to customers, Seattle’s Groceteria aimed to reduce the cost of bringing products from manufacturers to the shelf as well. Within his own enterprise, Alvin grew a large chain of exactly identical stores with a warehouse laid out just like the stores. A uniform stock sheet was used, allowing for easy inventory counts and simple shipment of replacement goods from the warehouse. Miscalculations were greatly reduced by the use of custom Rand computation tables and Burroughs adding machines. After considering the volume of sales that he would need to run a reasonable profit, Alvin decided that 100 stores would be needed in the chain. In January 1916 store number two opened at 55th Avenue and University Way. A store opened downstairs in the Pike Place Market in April 1916. Stores continued opening at a rapid pace until Groceteria had 30 stores at their two year anniversary. For a short time their first warehouse was located in the Colman Building, and then they moved offices and distribution to 210 3rd Ave South. Groceteria continued to struggle with wholesalers and distributors. Many refused to sell to them. The wholesalers didn’t want their trucks parked outside a Groceteria store and associated with low-budget shopping. When distributors did show up, Groceteria ended up with merchandise that differed somehow from the competition. When enough stores were opened Alvin was able to implement the final piece of his plan: he began purchasing directly from manufacturers by the boxcar. In this era customers were only beginning to be exposed to purchasing based on label and brand recognition. So when a major brand like Nabisco refused to sell bulk and thereby cut their distributors and middlemen out of the business, Alvin simply purchased from lesser known producers who were happy to get the volume sales. In the case of Nabisco he purchased crackers by the boxcar from a manufacturer in California. Walter was nominally listed as President and Manager of the company, but Alvin was the brains and energy behind Groceteria. Walter had experience in retail but not the unique aspects of groceries. In contrast, Alvin had relentless energy as a buyer, as a storefront lessee, and as a retailer to sell groceries in a way they had never been sold before. KML for Groceteria Stores of Seattle, Jan 1920 locations plus all other known locations. The chain grew to about 30 stores in the first two years and then growth slowed down at the end of 1917. Stores peaked in early 1921 at about 40, spread around Seattle and into interurban and mosquito fleet suburbs like Kent, Bremerton, and Kirkland. A slow shift occurred as leases expired through 1923 and then store numbers dropped to about 20. In 1926 Groceteria Stores Company went bankrupt and only the Economy Market store was left. This too finally shuttered in 1928. Two external forces led to the demise of Groceteria. First and foremost, Alvin Monson was shattered by World War One. 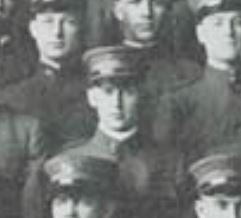 Alvin and his brother Martin were in the first group of men drafted from Seattle’s District 8 in 1917. After training at Camp Lewis for ten months, Alvin was sent to the front in France. He was in the Army’s “Wild West” 91st Division, 362nd Infantry, assigned to the machine gun company. Upon their arrival in France the 91st moved to a training ground. Alvin’s company and a medical detachment boarded a freight train and en route it was hit by another train in the middle of the night. 30 men were killed — most instantly — and 57 wounded. Decades later Alvin would remember a man’s cries begging to be killed and put out of his misery. Alvin went on to see many more terrible things during the Battle of Argonne Forest and in Belgium, but it was this first tragedy that broke him. He was uninjured but when he went to pick up a stretcher he felt “phantom” pain through his back that would haunt him for the rest of his life. Eventually he was diagnosed with post-traumatic psychoneurosis, known as PTSD today. Alvin’s older brother Walter was determined to make Alvin better by engrossing him in work. Walter tried tactic after tactic. He gave Alvin back his buying duties until Alvin proved incompetent, buying products at unprofitable prices and in unsellable quantities. He tried giving him management of a store, or accounting responsibilities, and eventually put four stores in Bremerton, Kent, Auburn and Kirkland directly in the ownership of Alvin. Walter stated later that he put his brother’s health first and then the store’s interest second. The chain slowly withered without Alvin’s earlier brilliance to guide it. The second factor in the collapse of Groceteria was the introduction of national discount grocery chains into the Seattle market. In 1917 — after Alvin began training but before he was deployed to Europe — Groceteria began hearing from interested potential investors from across the country. Piggly Wiggly had taken off, and bankers were looking to create competition. The brothers turned down an offer that would have paid them face value on all of the stock issued for Groceteria. Almost all of it was held by the family. In 1920 another offer was made from a Chicago firm to purchase Groceteria for four times the face value of the stock, one million dollars. Walter turned down this offer because he decided that running the business was what the family loved. He also probably felt that Alvin was more likely to recover with familiar work to do. This may have been their best and last opportunity to turn Groceteria into something greater than themselves. Turning down the offer may have also invited competition. In June 1923 Skaggs United Stores announced that they would be opening in Seattle. Skaggs was a chain formed in Idaho, actually the union of three chains created by three brothers. Local representatives set about acquiring leases and constructing new buildings. Waiting to make a splash until January 4, 1924, Skaggs simultaneously opened seven markets in Seattle. But they already had 184 other stores spread west from Idaho, including branches in 14 other Washington cities. Rather than leasing a spot in an existing market like Groceteria or Piggly Wiggly, Skaggs tended to create new markets with sublet spaces or to run the entire market themselves. Skaggs advertising aimed to differentiate itself from Piggly Wiggly and Groceteria by pointing out that the chain was owned by the employees and no franchise fee was due. In November 1926, after Groceteria had already collapsed, Skaggs announced their merger with Safeway Stores — which had not been present in Seattle — into an 800 store chain. Piggly Wiggly and Marr’s stores would eventually also be acquired by Safeway. It’s significant to point out that of the heads of other chains that operated in Seattlefrom the 1910s to the 30s, only a few served in World War One. Earl Eba never saw combat. Mutual Markets exec Frank Jeffrey was an officer in a cannon group, separated from the impacts of combat. Many more avoided the draft altogether. Piggly Wiggly’s Arthur H. Jones was only three years older than Alvin Monson but avoided the draft because he was married with a son. M. B. Skaggs, only 29, did the same because he was also married with children. Instead of rising with America’s fortunes in the roaring 20s, Seattle’s Groceteria Stores languished and slowly lost its grip on regional discount groceries. With Alvin Monson reliving his war experiences the chain failed to innovate and lost the head-to-head battle with the local Piggly Wiggly franchise. If Alvin had avoided the draft, or if the world had not gone mad with war, Seattle could have been the cradle of one of America’s great grocery chains. Much of this history comes from the roughly 600 page transcript of Alvin O. Monson’s 1934 lawsuit against the Veteran’s Administration for disability support. It’s a tremendous resource even if every word cannot be accepted as complete truth because of the 20 year gap. Like much of my other research, I read many contemporary Seattle Times articles and reviewed advertisements. The database is available for free with a Seattle Public Library card. Polk Guides, census rolls, draft cards and other personal data were accessed through ancestry.com. There are a number of good articles about grocery history linked above in this page. Additionally the entire website of Groceteria.com is a fantastic resource. I’m always thankful to encounter digitized records as part of a new project. The University of Nebraska’s online yearbooks were very helpful to corroborate stories and get some actual photos of the people being discussed. Archive.org and Google Books always have some esoteric community history, and I would know nothing about Osceola, Nebraska without books found there. HistoryLink continues to be a wonderful starting point for local history research. Who owned the Santa Monica groceterias, and what happened to the chain? What happened to Seattle Groceteria’s assets and stores after bankruptcy? Are there more people that can be linked from the up-rise of Seattle’s Groceteria to the many chains that entered Seattle in the 1920s? This man invented self-service grocery (KNKX) Radio interview about Groceteria. Rob, can you contact me through my email address. I need to talk with you. Do you know of any source that will give me the opening date of the first Piggly Wiggly in Anchorage sometime in the 1920’s-1930’s? I have a newspaper clipping (without date) that announces the opening and that my father in law was the first manager of that store. Thank you for any information you may be able to provide. I suggest contacting your local library. They may have access to digitized newspapers from Anchorage. Or, they may have city directories where you can look for your father and see if his employer was listed. I do see a mention of Arctic Piggly Wiggly Co. in Anchorage in 1932, president H. L. Reed. Take that information with you to the library, and you can look up Reed from 1932 and prior, and look up the corporate name Arctic Piggly Wiggly (that should be the name of the franchise holding company in Alaska, or at least Anchorage). My guess is that the company was formed around 1925. Seattle’s was formed in 1921, and few companies would form after 1929. Somewhere in between. 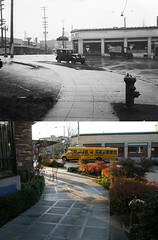 Was there ever a Tradewell store located in downtown Kirkland ? Kurt, there was a Tradewell opened in 1951 at the southeast corner of Park Lane (then known as Commercial Street) and Main Street.